Greetings! Thank you very much for visiting our website today. Please allow me to briefly introduce our center. I am Takahiro Fujimoto, Executive Director of MMRC. Being the first one to bring up the Manufacturing Management Research Center (MMRC) Project at the Faculty of Economics, University of Tokyo, I somehow have ended up with the honor to claim to be the head of this center. MMRC was one of two 21st Century COE (Center of Excellence) Projects at the Faculty of Economics, University of Tokyo. Here we specialize on the study of the “Integrated Manufacturing System,” which is the production-development-purchasing system that was built among certain postwar Japanese firms and which is represented by the Toyota Production System and TQC (Total Quality Control). We regard the system as one of the most valuable intellectual assets our country exported to the world in the latter half of the 20th century. In academic fields as well, works by Japanese researchers on this theme have gained worldwide reputation, and at the same time a network of researchers investigating this subject has spread globally. However, research institutions concentrated on this area of study were never established in Japan, thus output toward the world has been limited. This resulted in recent steps backward in international research, and in productivity gaps among firms and industries. MMRC was established to reform the current situation based on the two principles of university-industry collaboration and international cooperation. We have four basic research themes: 1) Explicit and generic studies on the “Integrated Manufacturing Systems” using an inter-industry framework; 2) Architectural studies on product-process design philosophies for enhancing competence analysis by re-scheming industrial categories; 3) International comparative studies on firm competence, in collaboration with MIT, Harvard Business School, and several universities from France; 4) Studies on brand power and sales force management for directing competence to profit. Ten professors from the Faculty of Economics, University of Tokyo, together with specially appointed staff personnel, researchers, assistants, and collaborators will work as a team to build a research center that is open to society and the world. As we aim to enhance university-industry collaboration, our 400 square meters office is located very close to University of Tokyo's Hongo Campus, near Hongo San-chome Station (Marunouchi Subway Line). Takashi Oshika, Specially Appointed Professor, has been recruited from Mitsubishi Research Institute, Inc. to take charge as the full time research director at MMRC. Furthermore, as of today (April 2004), promising staff have already come on board, and we are ready to move onto actual research activities for the 2004 fiscal year. Several veterans of professional careers in manufacturing management have already taken our Specially Appointed Researcher posts. We are looking forward to these people working as a team with young researchers and students from the University of Tokyo and other academic institutes to systematically translate their abundant tacit knowledge into explicit knowledge in a conveyable form. We are adding purely academic studies as well. We will work on each research activity aiming for achievement corresponding to each of the project bases. Also, in accordance with our original plan we are in the process of asking certain people of significance in the exercise and study of manufacturing management to join us as our advisors. Likewise, we are launching a “Consortium of Manufacturing Management Studies” to promote generic studies on the knowledge of the Integrated Manufacturing Management System. This will be the first consortium by the University of Tokyo, in which we will ask about ten representative Japanese manufacturing firms to join as first-termers. In the initial few years, each company will draw up a “Manufacturing Management Handbook.” By compiling their own “Handbook” and browsing one another's, manufacturing system variations by differences in products and markets should become made clear. This would be a first step in generic studies on Japanese manufacturing firms’ knowledge. Therefore, we expect each firm joining the consortium to send coordinating personnel as part-time collaborative researchers. These collaborative researchers will tie up with our young researchers from the University of Tokyo and backup the Handbook effort. In addition, we are planning various “Specific Theme Workshops” reflecting common issues among consortium firms. 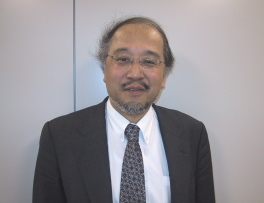 At the same time, educational efforts are lead by Professor Nobuo Takahashi. An “Advanced Management Program,” a five year consistent bachelor and master course education at the Faculty of Economics, University of Tokyo, and the non-profit GBRC (Global Business Research Center: 9F, Marunouchi Building) work in closely with MMRC. We aim to nourish young and eligible personnel who are capable in research and dissemination of findings. Also, a “Freshman Business School” is going to be started. This is a course open to freshman and sophomore students of humanities, science, and math at the University of Tokyo. At Marunouchi, a continuing education course called “Manufacturing Talks” will provide regular lectures on manufacturing management by academic and business people. Meanwhile, we are approaching the Ministry of Economy, Trade and Industry for possible university-government collaboration. Enduring, long-term research efforts are essential for the kind of attempt outlined above, as is clear from overseas cases such as at MIT and elsewhere. We have allowed ourselves to claim to be a “Center” because we are determined to dispatch intellectual output to the world throughout the duration of the COE Program and thereafter. Nonetheless, frankly speaking, each of these efforts is pioneering. Much trial and error is sure to happen. I personally am quite unsure that this much can truly be done. Yet, there is no going back and thankfully, people are coming to us finding interest in what we are trying to do. MMRC continues activity afterwards as Tokyo University from April 2008. Your intellectual and human support is our greatest source of energy. I most appreciate your continuing encouragement and support. Thank you.